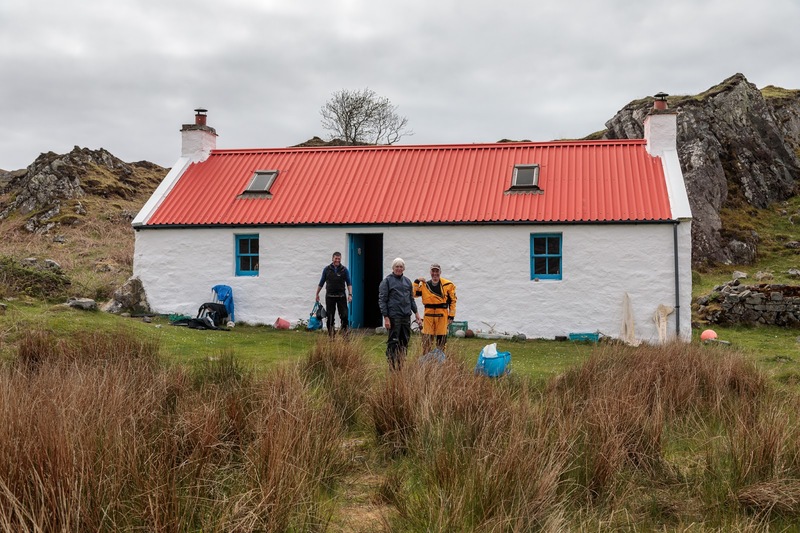 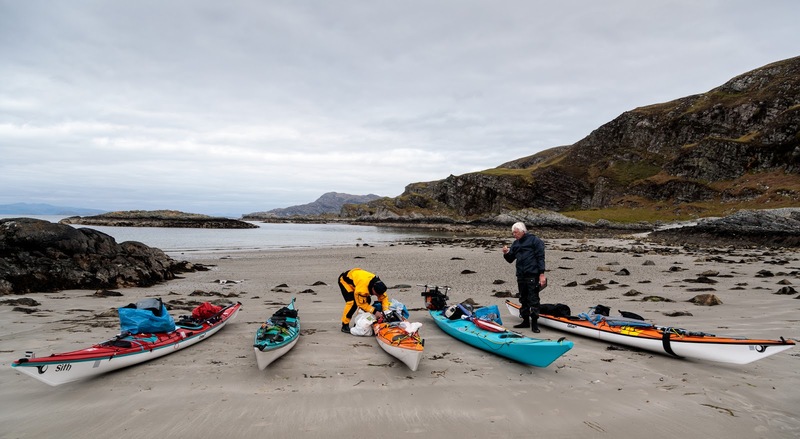 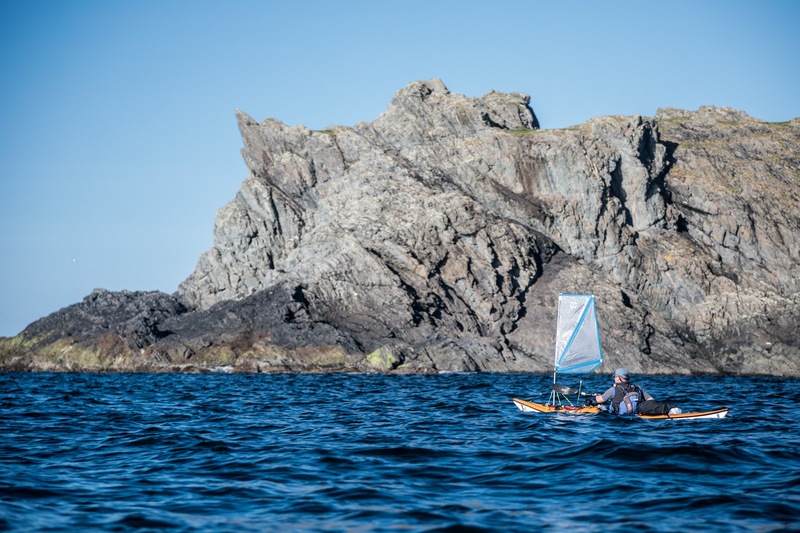 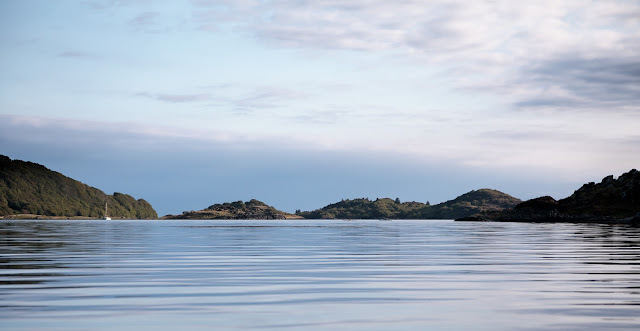 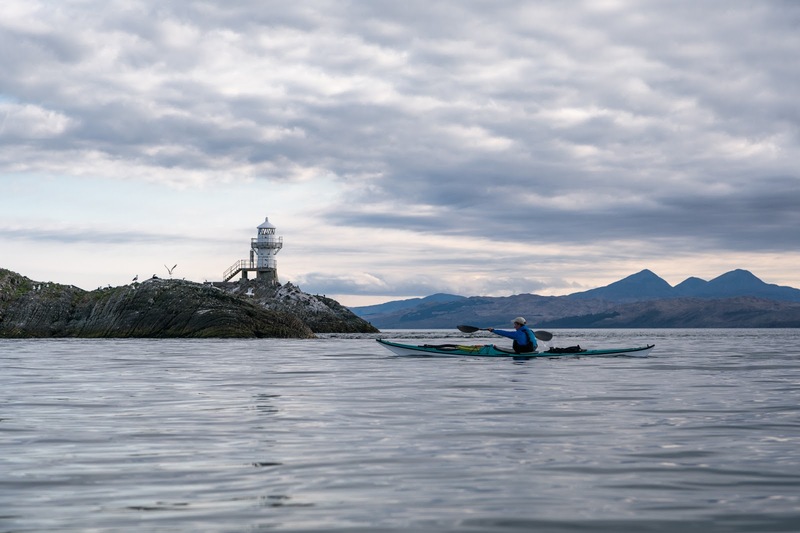 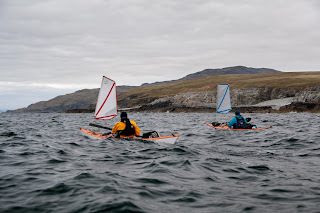 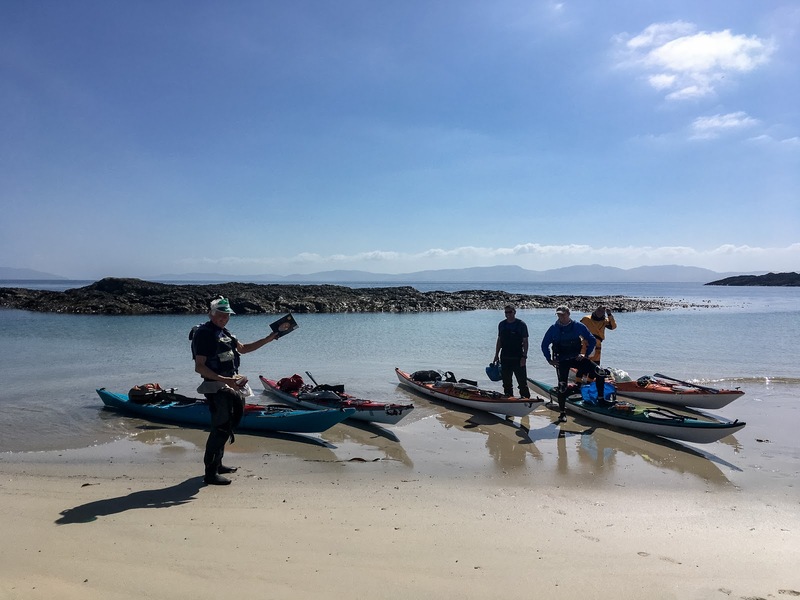 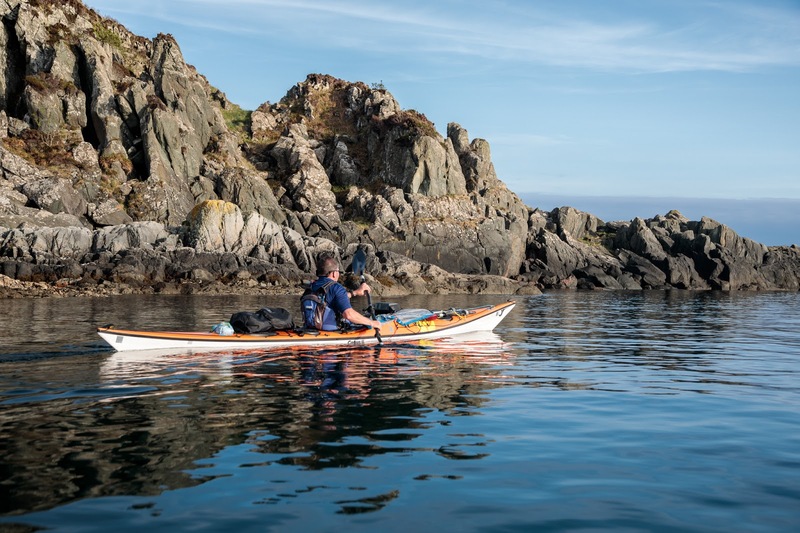 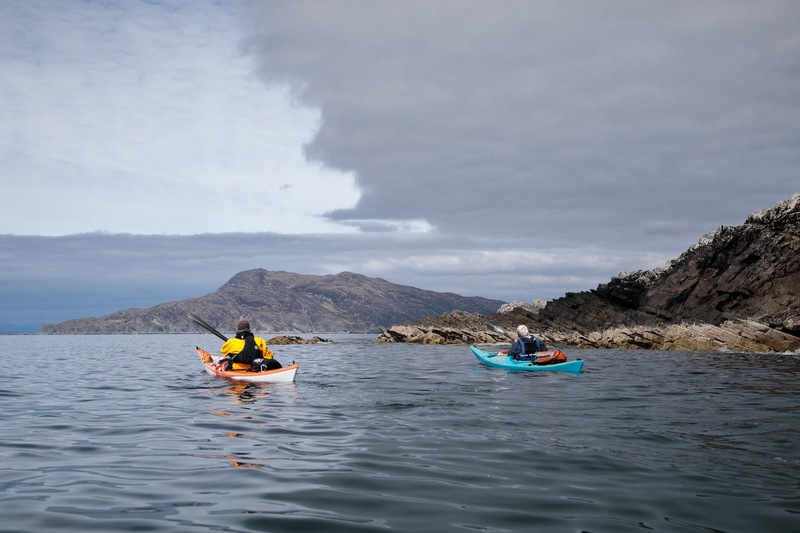 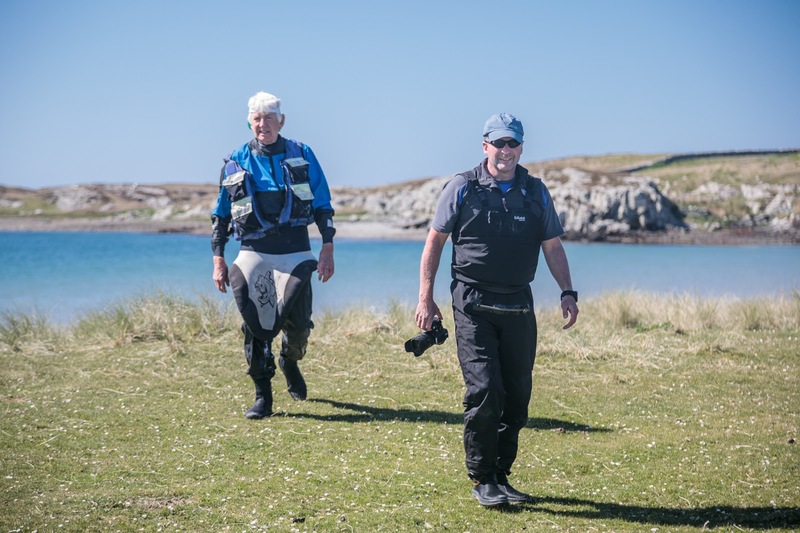 In the wake of the dead: a sea kayaking pilgrimage to Oronsay and Colonsay via Jura. 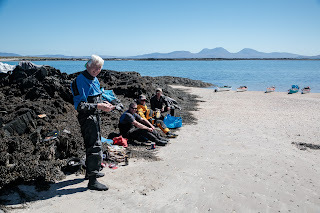 For those who would like to follow the thread of this great trip to Oronsay and Colonsay via Jura from start to finish, I hope this index will be useful. 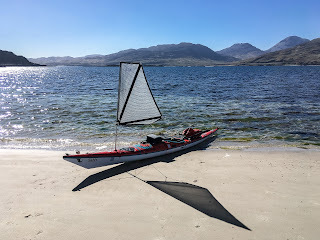 We launched from Carsaig Bay NR735877. 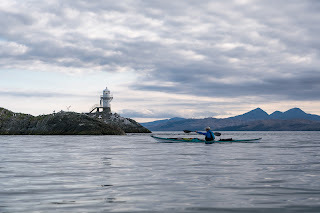 We paddled 136km over four days. On the outward trip we portaged the 2km over the Jura isthmus from Tarbert Bay in the east to Loch Tarbert in the west. We returned through the Corryvreckan. 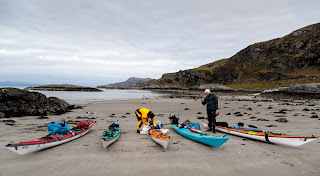 Read Ian's trip summary here. 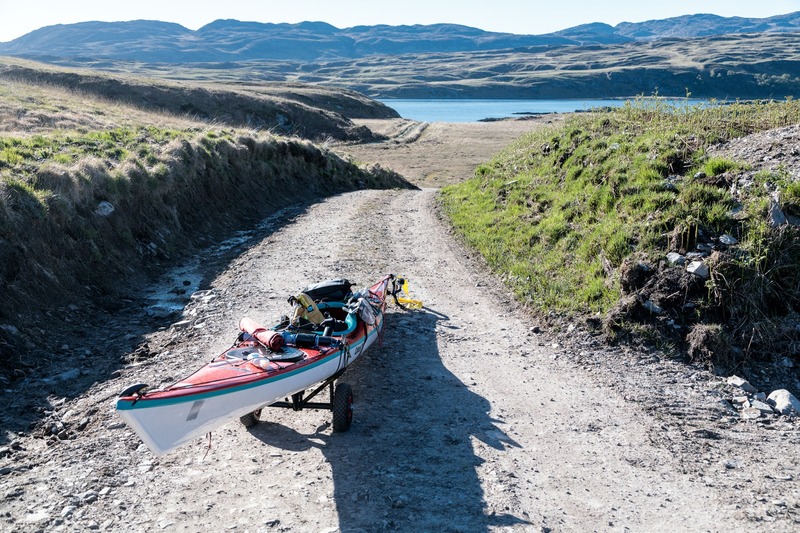 Blog 1 Paddling and portaging in the wake of the dead. 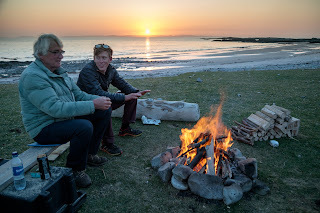 Blog 2 Enchanted again by the remote west coast of Jura. Day 2 Glenbatrick Bay, Jura to Kiloran Bay, Colonsay: 41km. 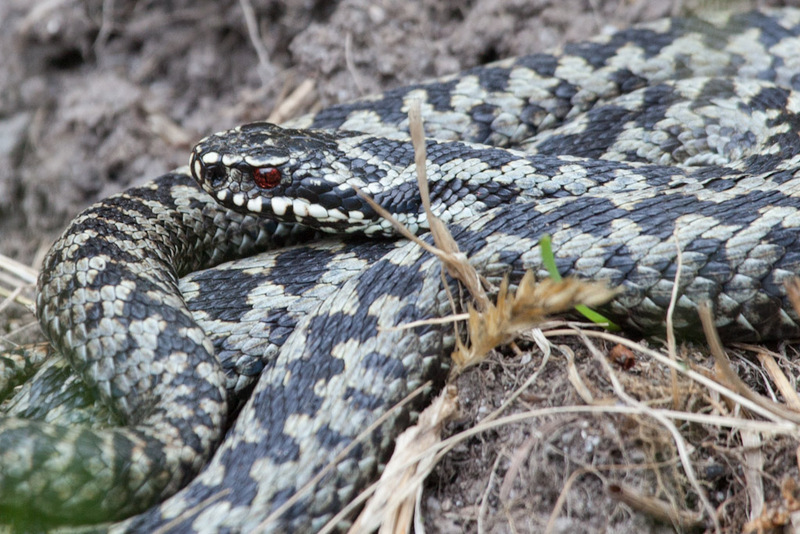 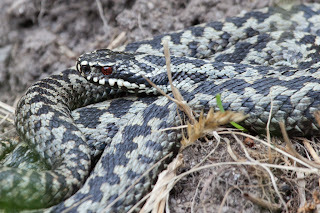 Blog 3 You may rue the day you meet the giant bothy rat and adders of Ruantallain. 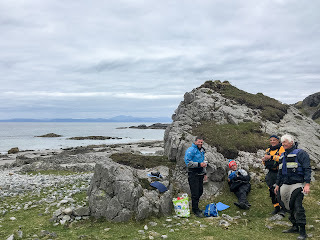 Blog 4 Landfall in an Oronsay midden. 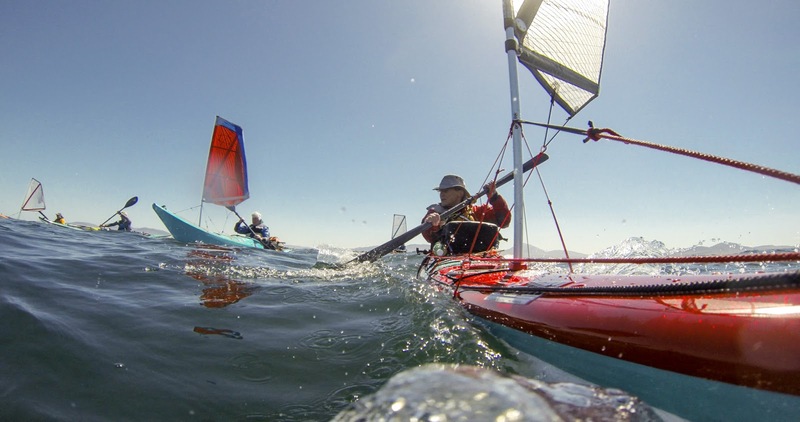 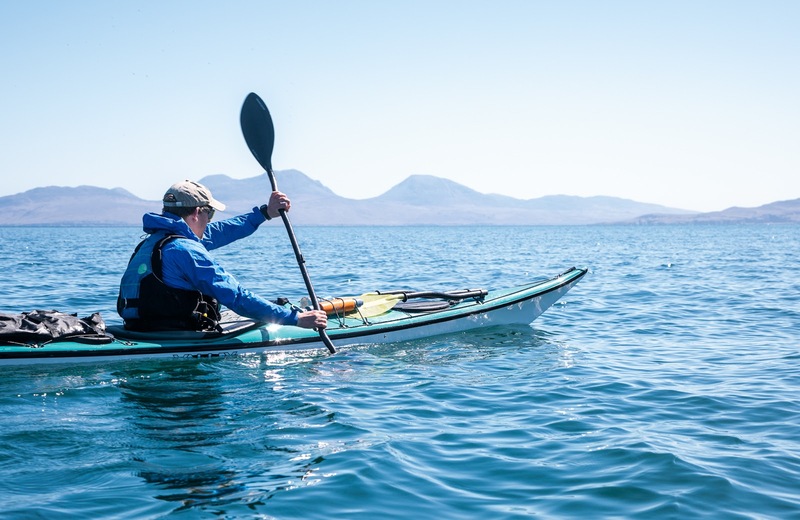 Blog 5 Why sea kayakers should consider carrying a PLB, unless they are full sibling to an ostrich. 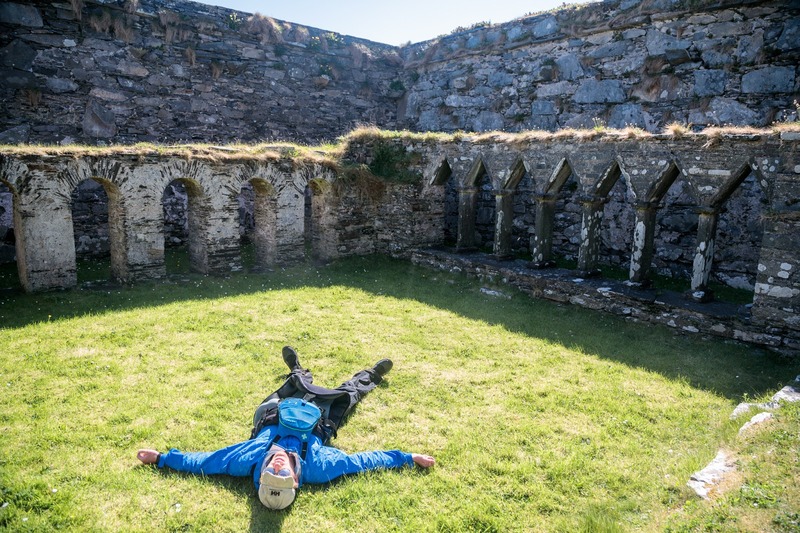 Blog 6 Our sea kayaking pilgrimage comes to a peaceful end in Oronsay Priory. 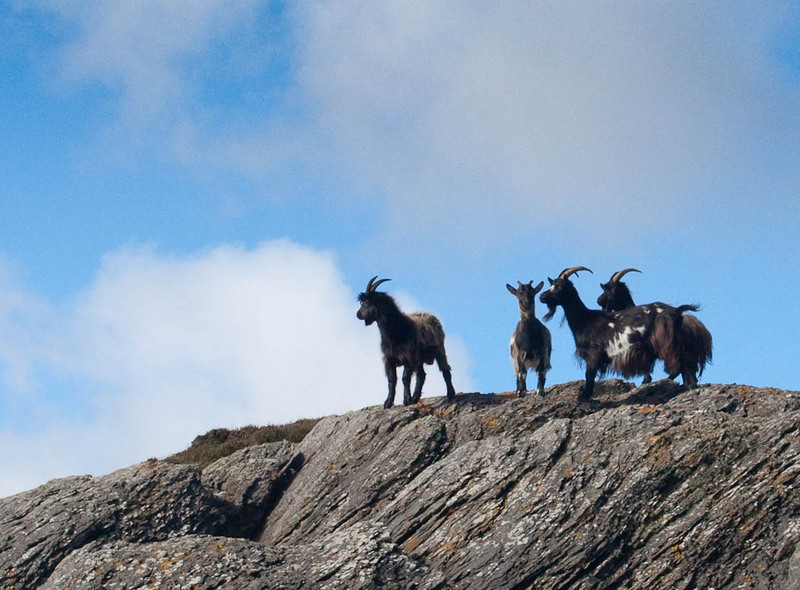 Blog 7 Between a rock and a hard place on the wild west cost of Colonsay. 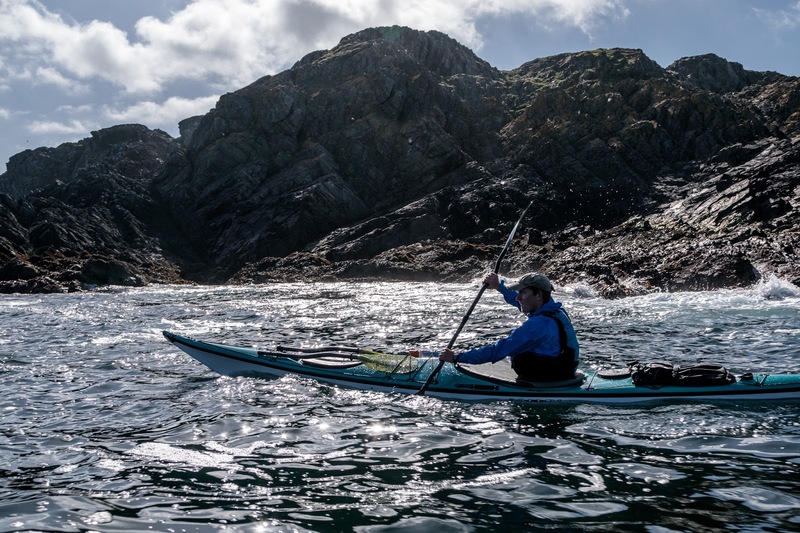 Blog 8 Breaking the spell of the Cailleach Uragaig on the NW coast of Colonsay. 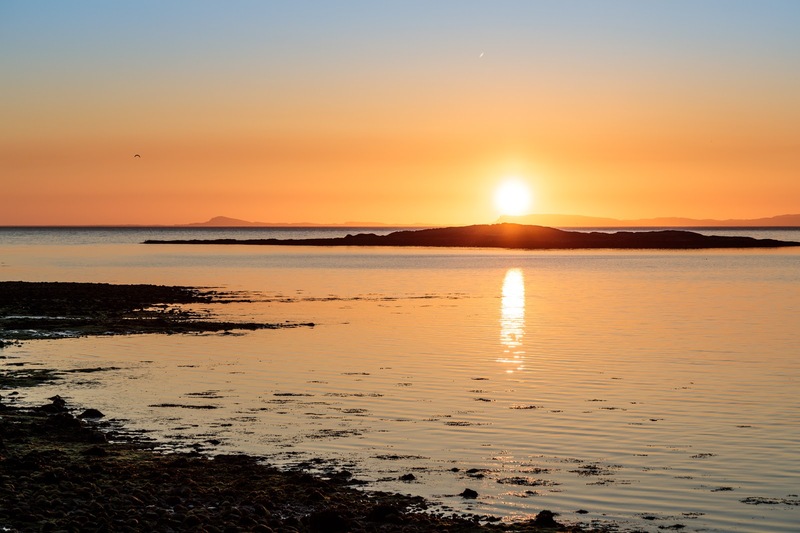 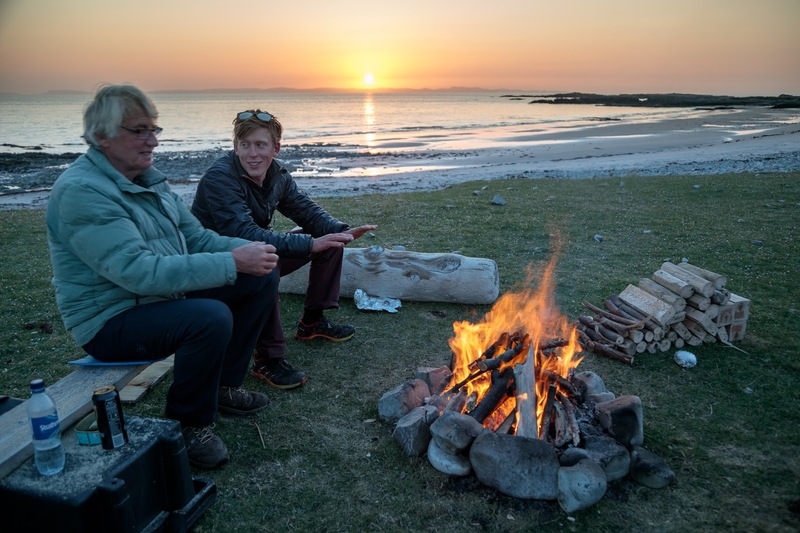 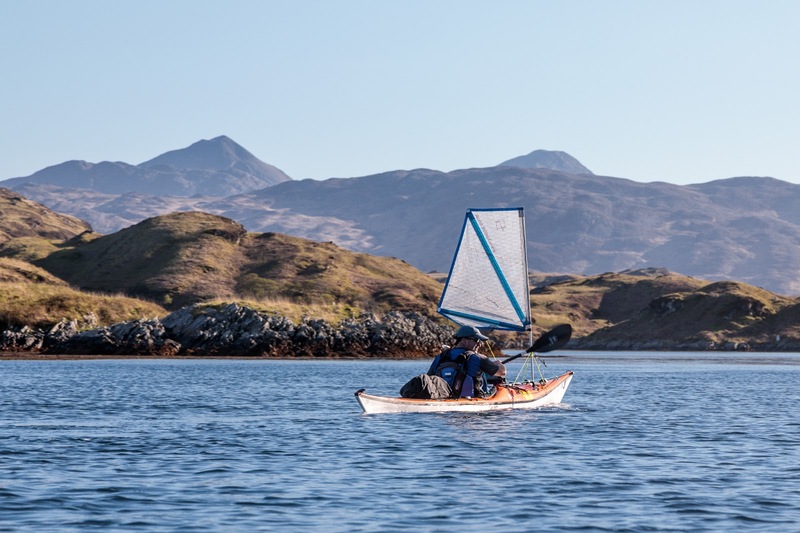 Blog 9 Two schools of seakayaking campers, a tattie howkin' stick and a Colonsay sunset. 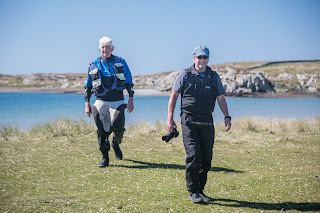 Day 3 Kiloran Bay, Colondsay to Shian Bay Jura: 30km. 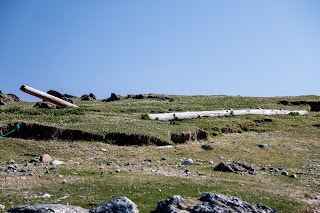 Blog 10 A washed up whale and an adequate supply of washed up wood on the machair of north Colonsay. Blog 11 Absolute consensus, armadas, wrecks and goats all end up at Balnahard Beach. 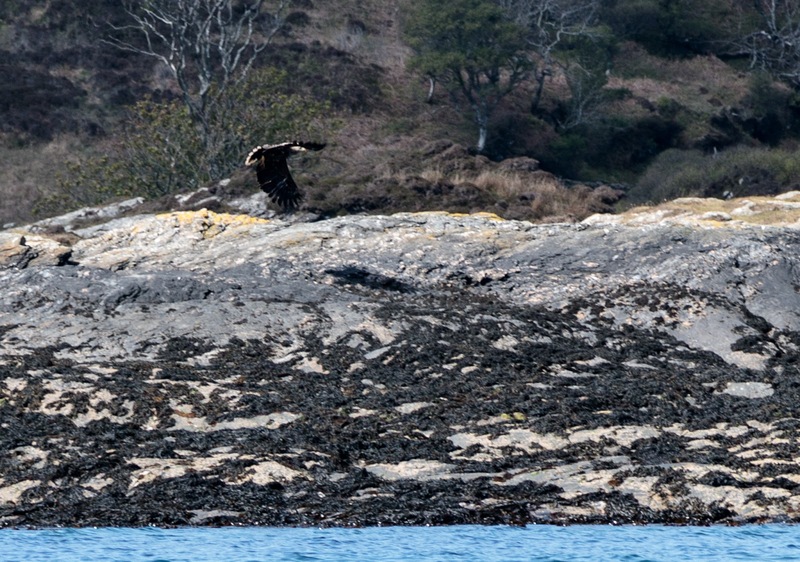 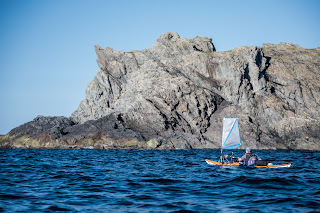 Blog 12 A cuckoo in every cove, flapping sails and giant wings on the NE coast of Colonsay. 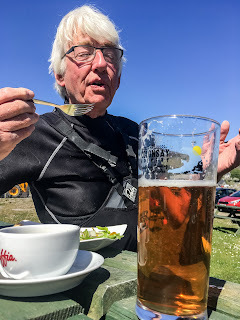 Blog 13 Cake, beer and wind in Scalasaig harbour, Colonsay. 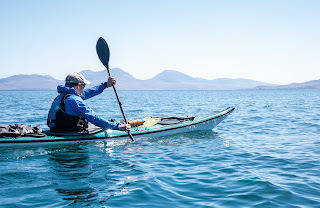 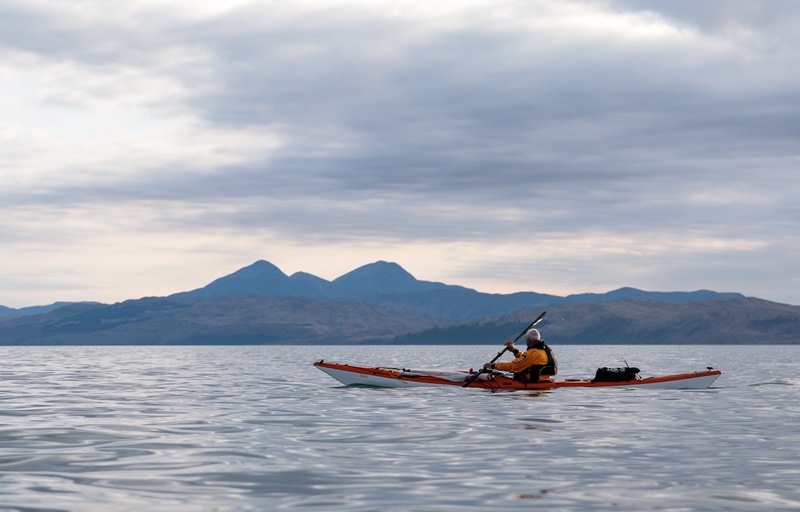 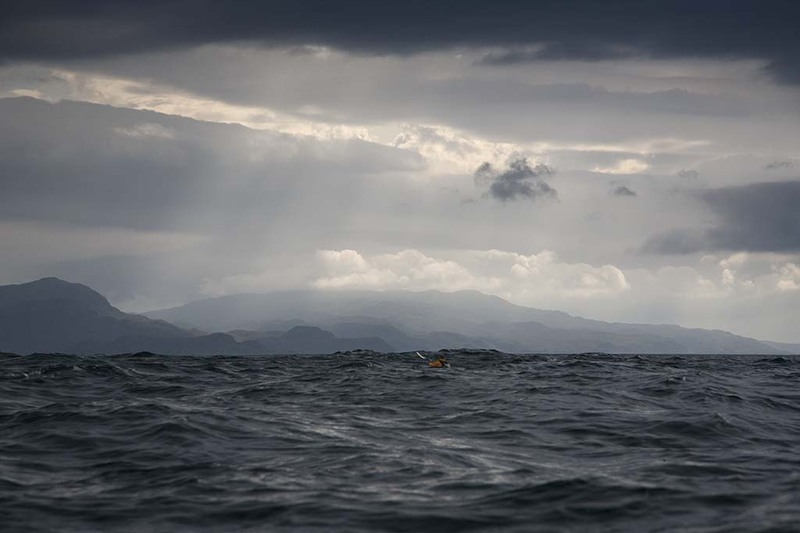 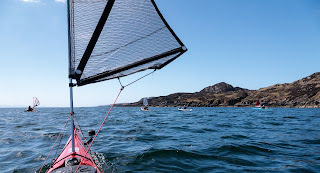 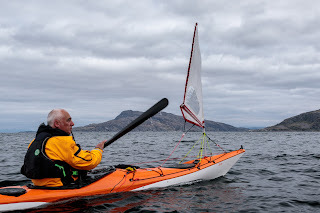 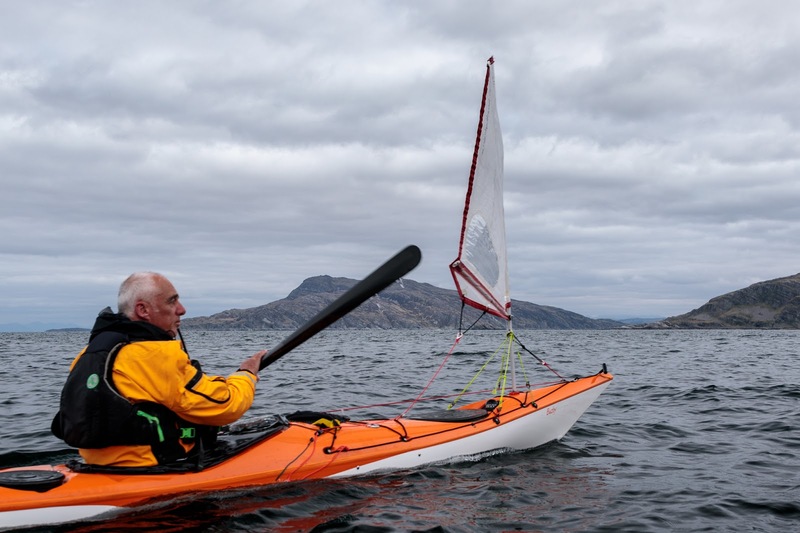 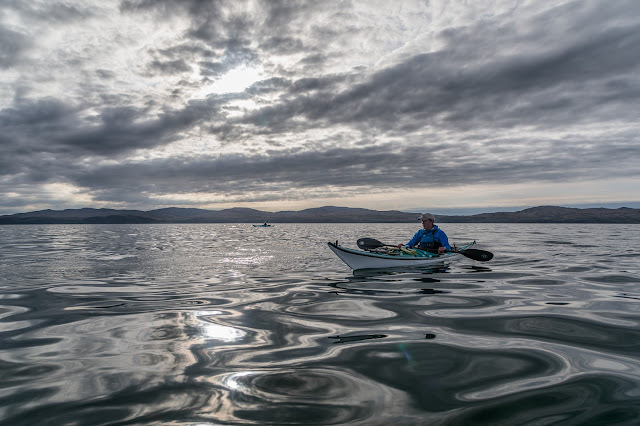 Blog 14 Perfect paddle sailing past the Paps of Jura. 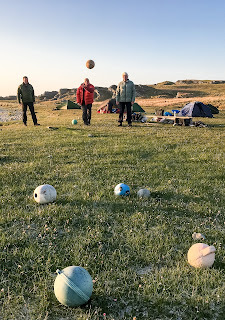 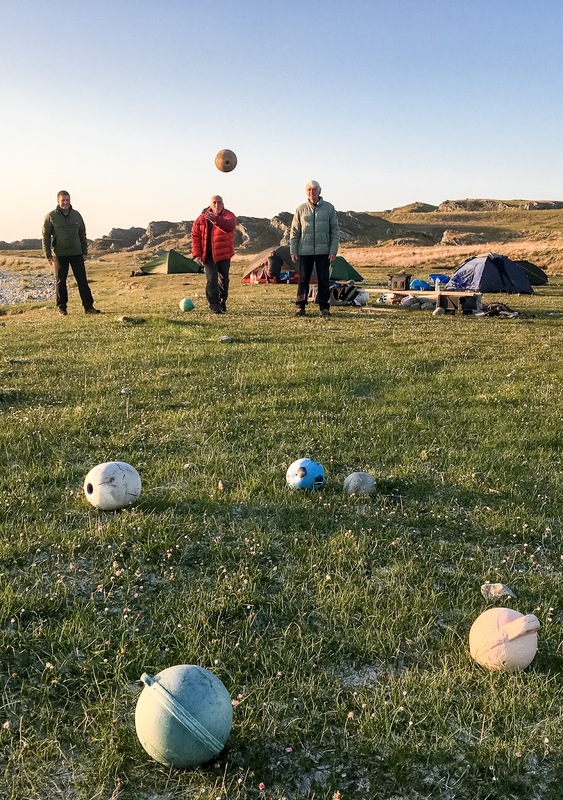 Blog 15 Hebridean boules on the machair of Jura. 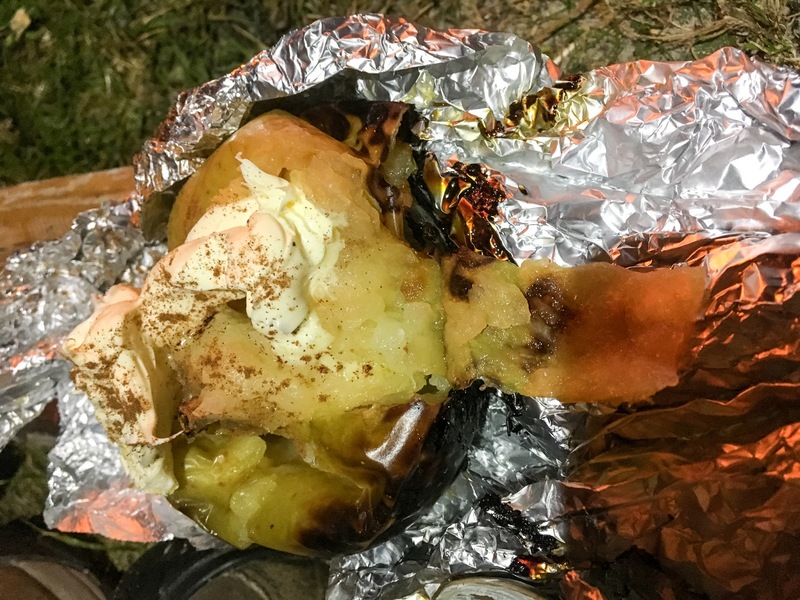 Blog 16 Baked Bramley apples at a Shian Bay Sunset. Day 4 Shian Bay, Jura to Carsaig Bay, Argyll mainland: 40km. 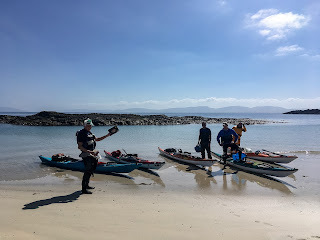 Blog 18 Waiting for the Corryvreckan tide at Glengarrisdale. 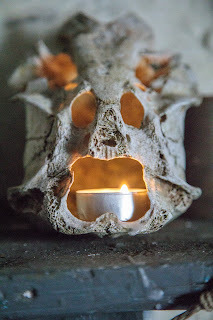 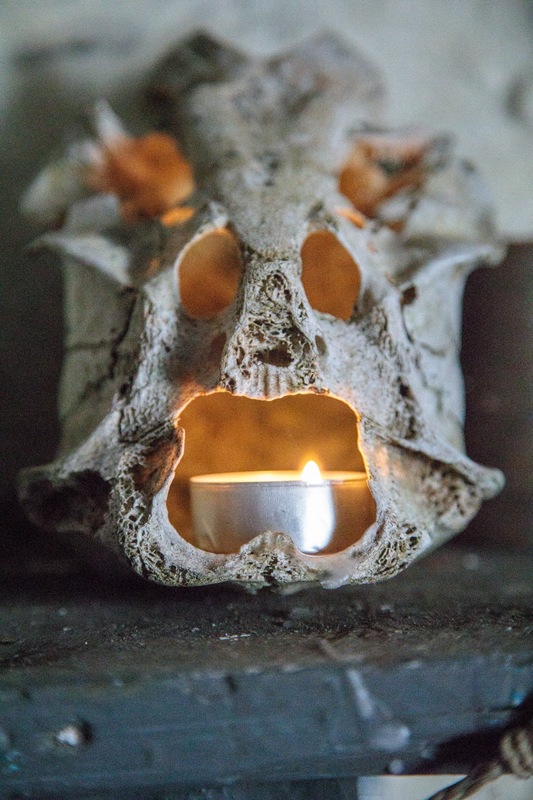 Blog 19 The skulls of Glengarrisdale, Jura. 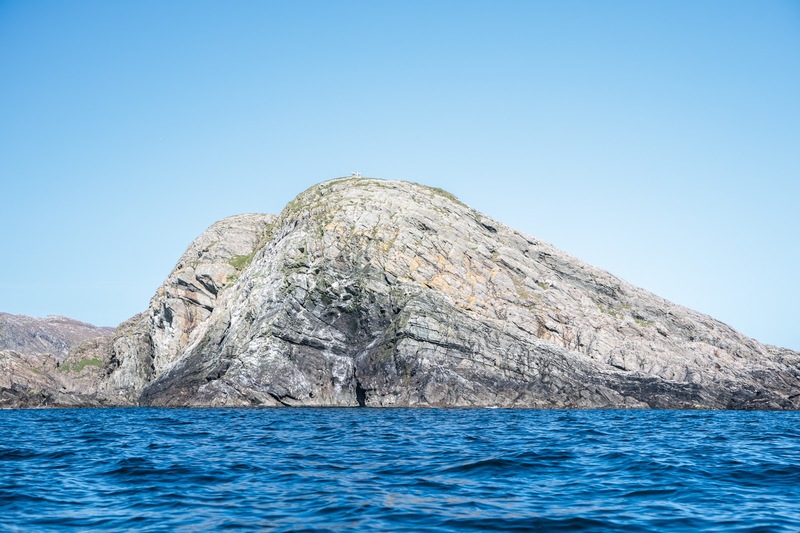 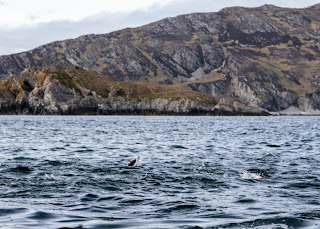 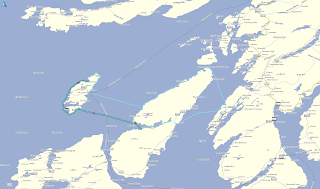 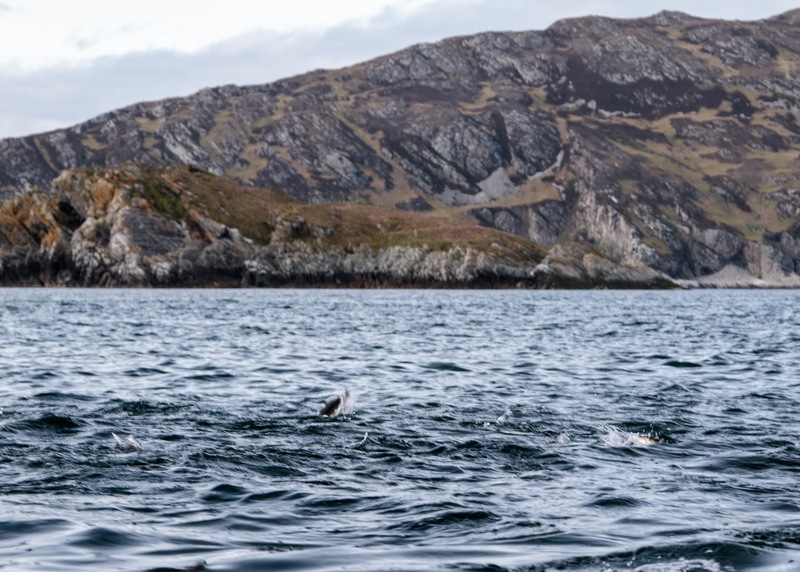 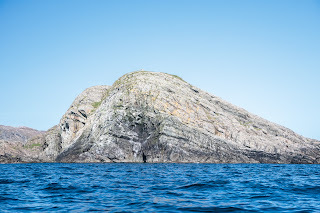 Blog 20 A traverse of the Gulf of Corryvreckan disturbed only by a shoal of fish. 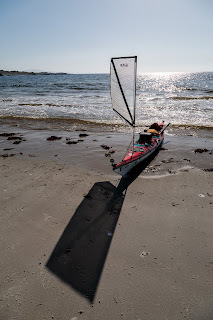 Blog 21 Taking a break at Red Rock. Blog 22 End of day in Carsaig Bay. The west going flood begins +0430 HW Oban (-0100 HW Dover) at 7 to 8 knots at springs and +0515 HW Oban (-0015 HW Dover) at neaps. 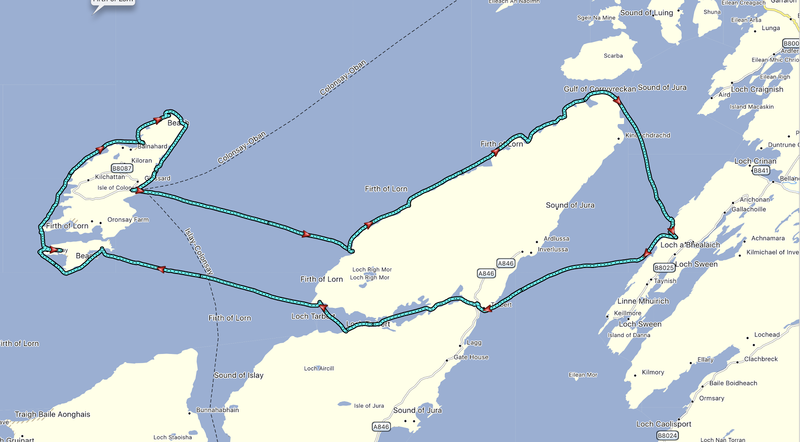 The east going ebb begins -0145 HW Oban (+0515 HW Dover) up to 8 knots at springs and -0100 HW Oban (+0600 HW Dover) at neaps. 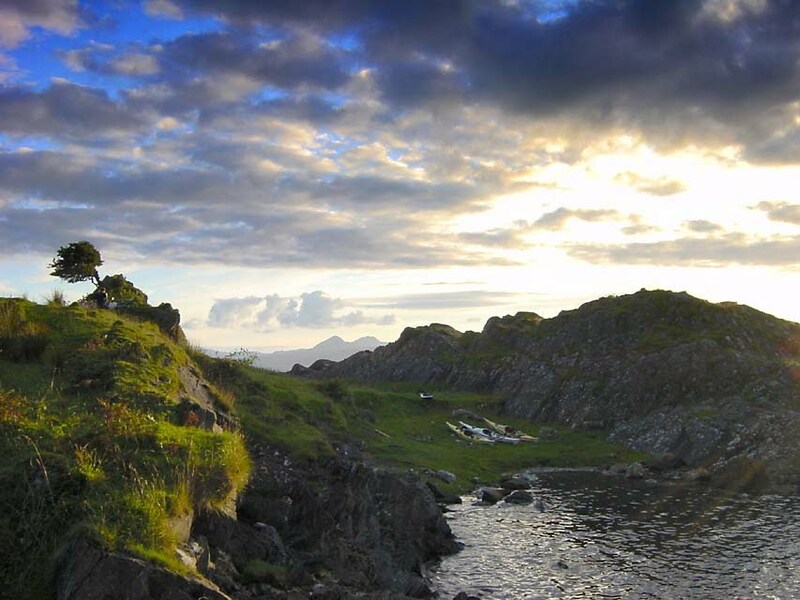 The time changes by 6.5 minutes each day between springs and neaps. The constant between HW Dover and HW Oban does vary, so most accurate times are calculated by using HW Oban times (though not if you have calculated HW Oban indirectly from HW Dover!!). 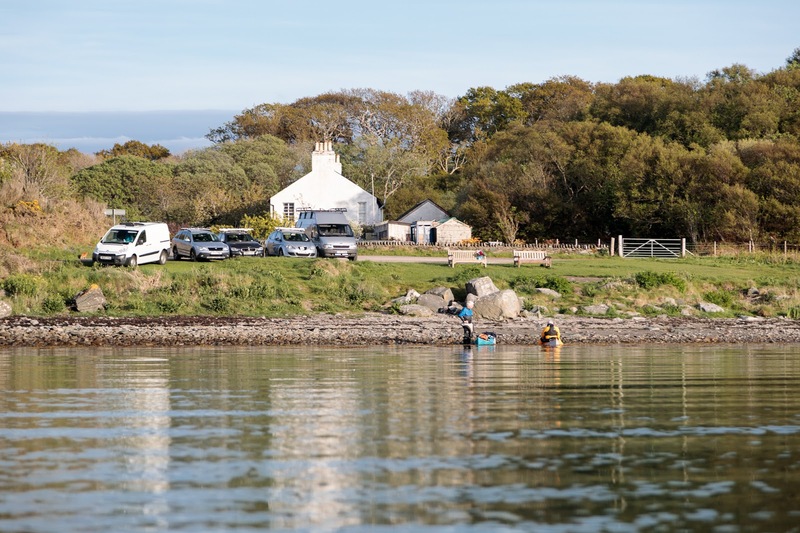 Slack water lasts up to 30 minutes at neaps. 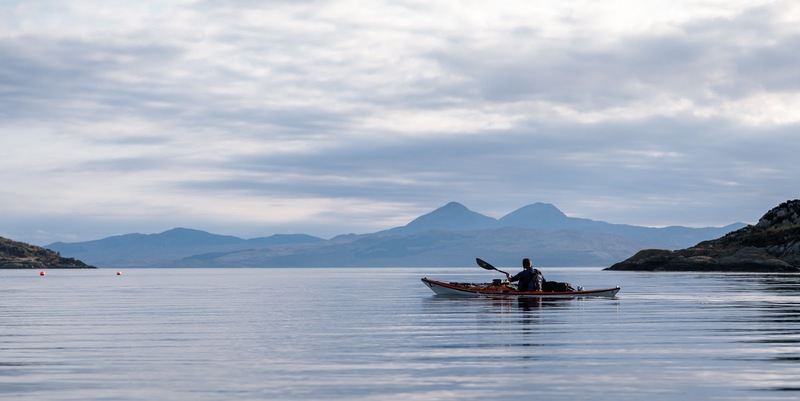 At springs there is no real slack, there is always water moving about somewhere in the Corry. 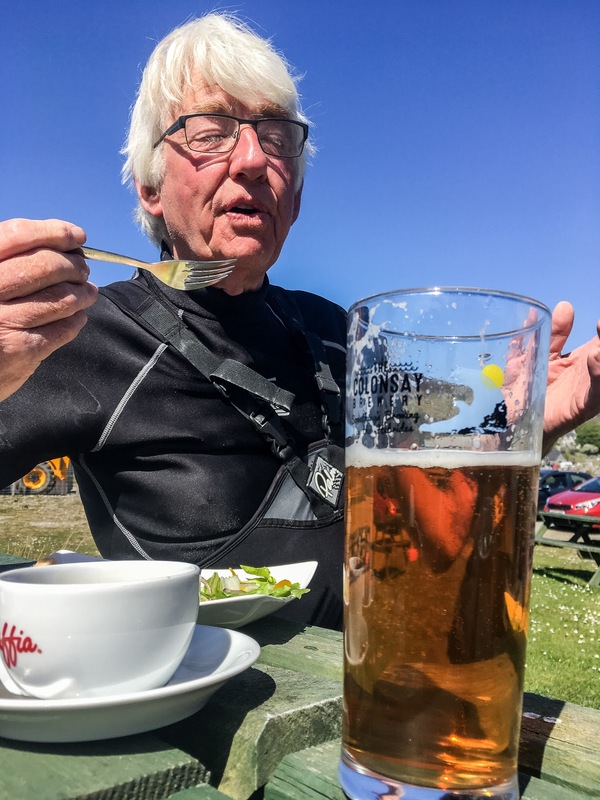 These times are pretty good as long as there is high pressure. Low pressure and wind can alter timing considerably. 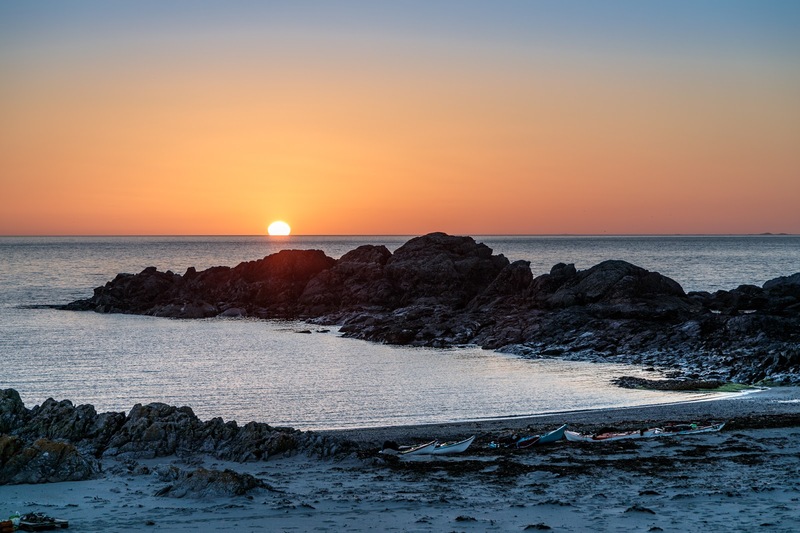 End of day in Carsaig Bay. ...we enjoyed views to the Paps of Jura which had dominated the horizon on much of our trip. 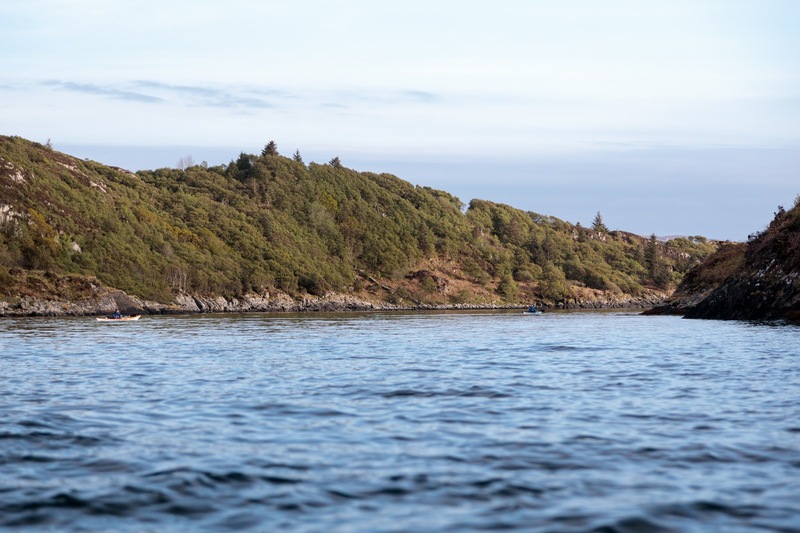 Nearing the end, we broke out of the tide into the sheltered inlet behind Carsaig Island. 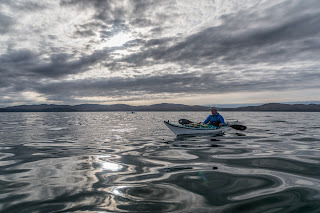 ...the water was calm and we enjoyed the warmth of some late evening sun. 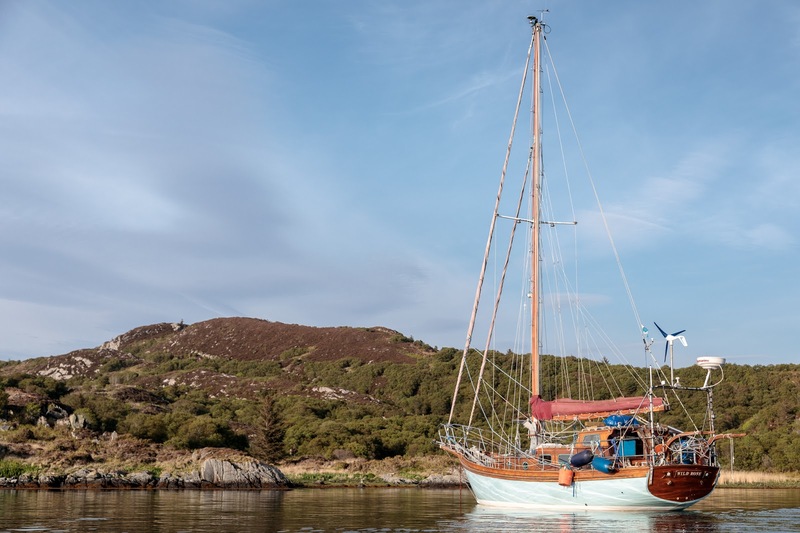 At the SW end of the channel we came across the lovely wooden yacht Wild Rose. 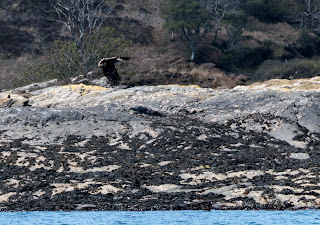 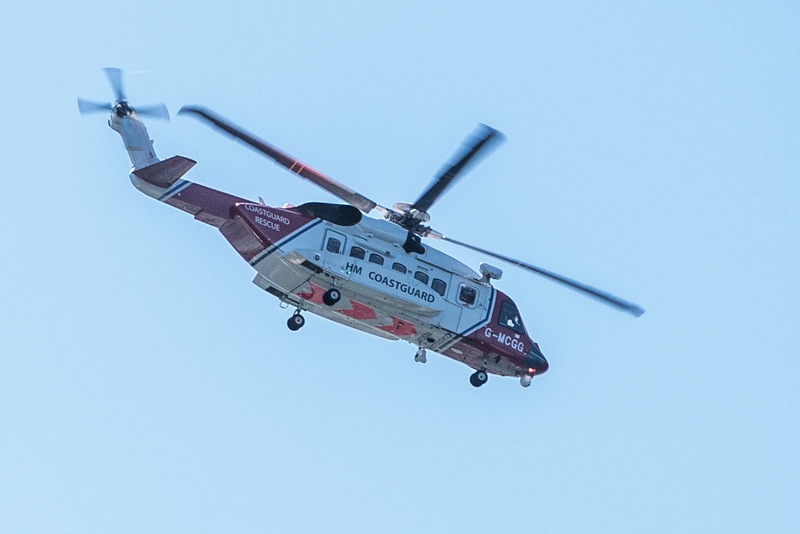 We had last seen her in Tinker's Hole on the Ross of Mull and off the west coast of Iona the previous year. ...(at a delightful spot I had camped at in 2003, see above) but I was done. 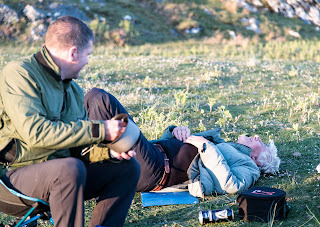 I was waiting for treatment for a significant health problem and I had run out of steam. 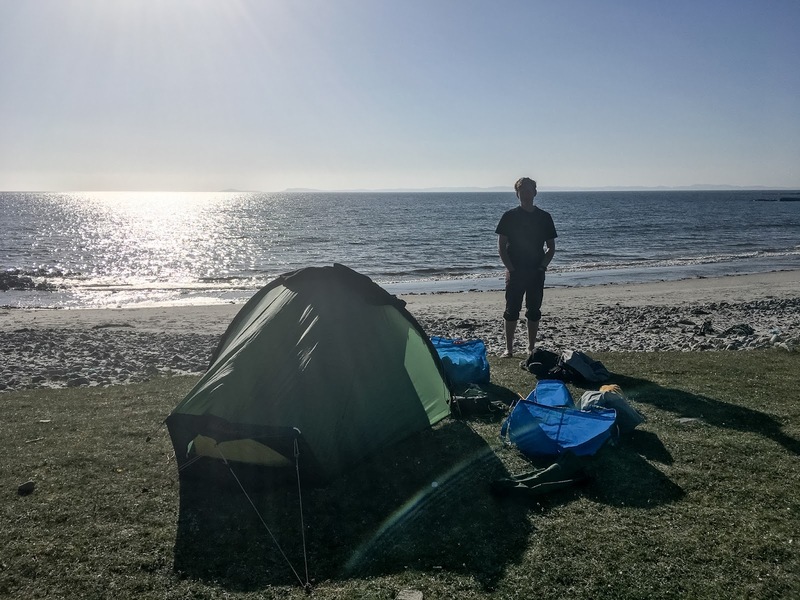 I was grateful that Ian made the decision to stop at Carsaig Bay and stay the night at the nearby commercial campsite in Tayvallich. 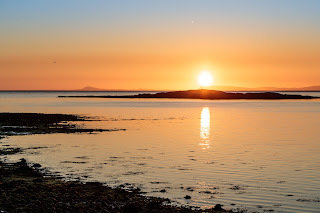 Despite the wonderful location, overlooking the Sound of Jura, I really could not have faced another night and morning of unloading and loading boats. 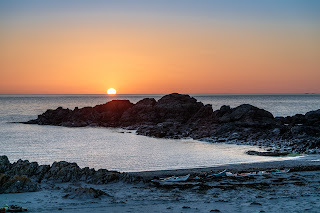 It was a bittersweet moment, unloading our boats in the sunset for the last time. 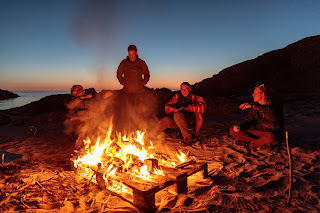 Sad because it was the end of an unforgettable trip but happy because we were already sharing great memories. 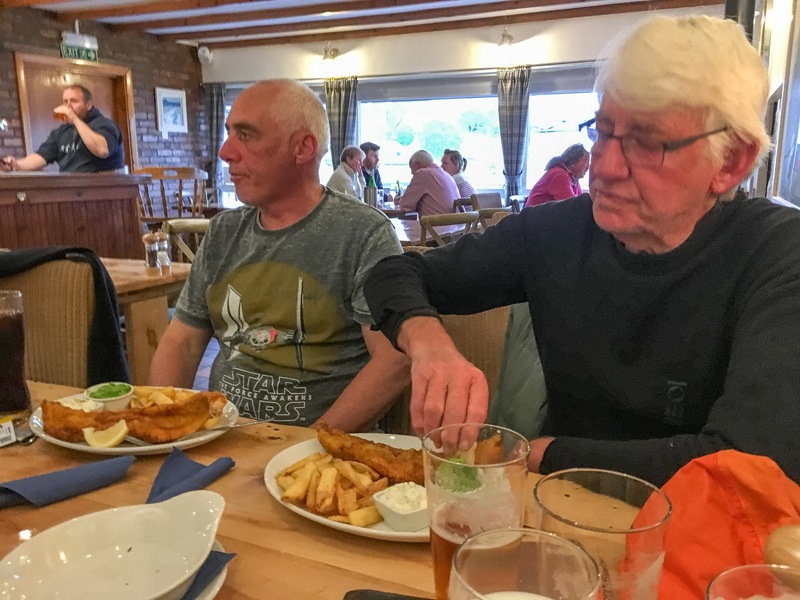 Although Maurice and David were driving home that night, we all had dinner in the Tayvallich Inn. The staff very considerately took our food orders well past their normal last order time (we had forewarned them of our late arrival). 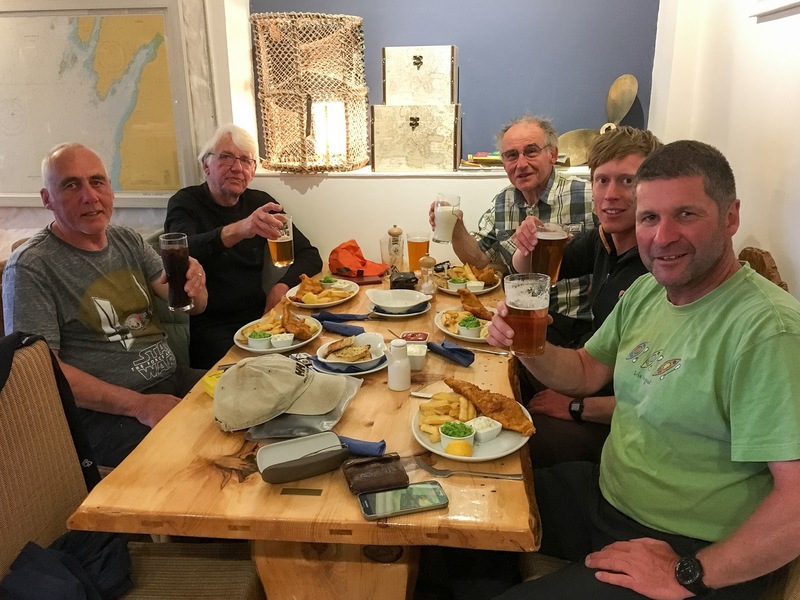 So Maurice, David, myself, Sam and Ian enjoyed our last supper together on this trip. 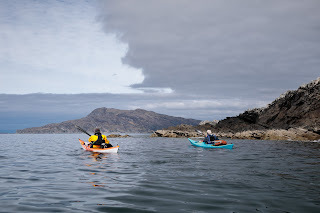 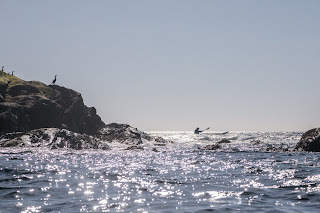 We recounted some great experiences but above all, a successful sea kayaking trip (like so many things in life) is greatly enhanced by those you share it with.